These days business owners are trying to do more with less, and I don’t know a single business that isn’t looking for a way to increase their Google rank. 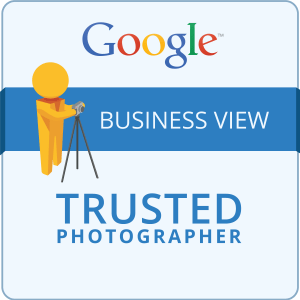 Thus when photographer Adam Lowe told me about his efforts to help businesses improve their online presence through Google Business View I couldn’t wait to share the news. I asked Adam to be a guest and explain some of the new opportunities Google has created for business owners. For most of businesses, having a strong web presence is crucial to promoting your brand and driving traffic into your business. If your business has a physical location such as a storefront, restaurant, or even space in an office building you’ll want to know more about these two things that will immediately make your business stand out in web searches. Why is Online Visibility So Important? First of all, why do we even care about web searches? According to Yelp, 85% of consumers use the Internet to find local businesses. If you aren’t being found in those searches you are missing out on a huge opportunity to attract new customers! Now that we know that we need to be found, where do we focus our efforts? Recent studies have shown that 60.9% of all local searches were performed on Google, with the next highest percentage being Yahoo and Bing at 14%. What this means is that if you aren’t being found on Google you just aren’t being found! And guess what? Google loves when you use their services! The number one thing you can do to promote your business on Google is to use their free Google My Business service to put your business on Google Search, Google Maps, and Google+ so that customers can quickly and easily find you. Google My Business gives you a place to show customers your store hours, ratings and reviews, information about your products and services, as well as photographs of your store and products. Setting up your Google Business page is quick, easy, free, and will make an almost immediate improvement in your search engine ranking. Now that your Google Business page is being found you need some great content, and guess what? Google has an answer for that as well, which leads me to their Google Business View program. Google is now training and partnering with select local photographers such as Adam S. Lowe Photography to offer local businesses a 360-degree virtual tour and professional photographs for their Google Business page and their Google Maps listings. The virtual tour is an interactive showcase of your business and is powered by the same technology that drives Google Street View. Best of all the process is easy and affordable, often costing much less than a single month of service with an SEO optimization company and delivering better results. Need proof? Take a look at the Google Business View page for Le Vieux Logis, a restaurant in Bethesda, MD. This local restaurant saw a 17% increase in customers in the first 3 months after working with me create their Google Business View. Your Google Business View appears in Google search results, Google Maps, and Google+ on desktops, smartphones, and tablet computers. You can also embed your Google Business View on your website and track customer engagement using Google Analytics. Before you spend hundreds or thousands of dollars each month and tie yourself into long-term contracts with an SEO Optimization Company, make sure you are doing the free and affordable things first. Adam Lowe is a portrait, wedding, event, and commercial photographer in the Maryland, DC, and Virginia areas. 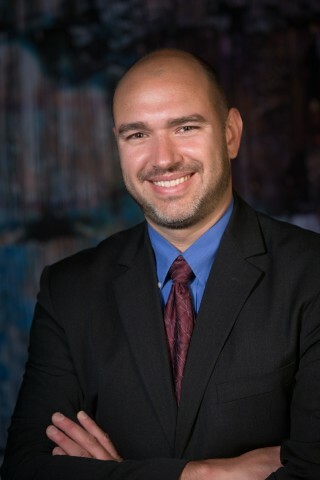 Adam was professionally trained in photography at the Washington School of Photography, where he currently teaches aspiring photographers. Additionally, Adam has achieved the prestigious recognition as a Certified Professional Photographer (CPP) from the Professional Photographers of America (PPA) organization. You can reach Adam through his website, Facebook, Twitter, LinkedIn and of course Google Business (Google+).